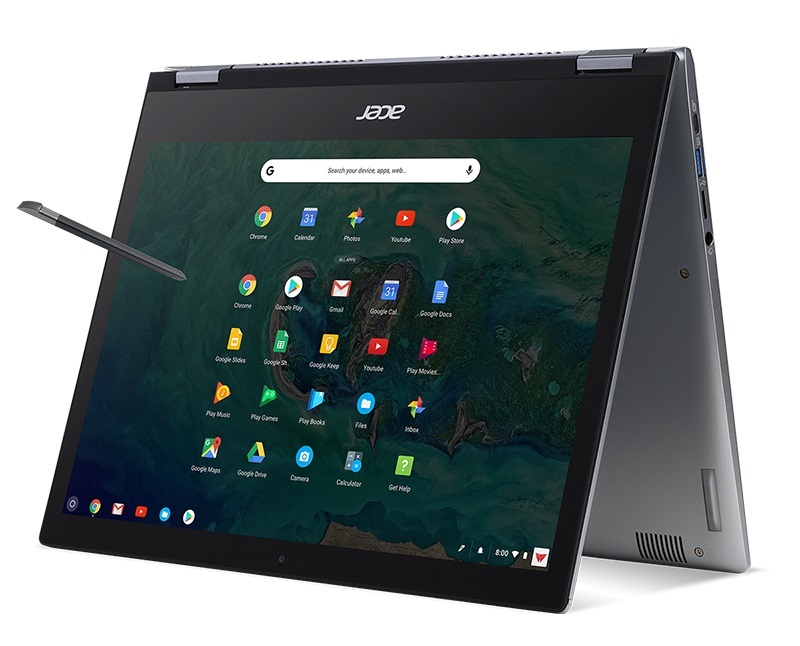 Acer introduced two new premium Chromebooks designed for business use – the Acer Chromebook Spin 13 and the Acer Chromebook 13. Both models feature a stylish and durable all-aluminum design and a full HD+ 13.5-inch display in a 3:2 aspect ratio. The new Acer Chromebooks are powered by 8th Gen Intel® Core™ processors providing exceptional performance and battery life for productivity on the go. The new Acer Chromebook Spin 13 and Acer Chromebook 13 feature a 13.5-inch Full HD+ display with 2256x1504 resolution for 3.3 million pixels of brilliant clarity and vibrancy while running apps and viewing content. The IPS display lets users easily present projects and shares content thanks to its wide 178-degree viewing angles. The Chromebook Spin 13’s convertible design with 360-degree hinges allows it to be opened a full 360-degrees so the touchscreen display can be used in tablet mode, useful for reading online content, gaming, or chatting. The convertible design brings the keyboard forward quickly for input. In addition, customers can stand it up in display mode to get closer to the screen or use it in tent-mode in tight spaces. The new Acer Chromebook Spin 13 can be used for a full day of work or school, streaming or gaming, with its industry-leading battery life of up to 10 hours. 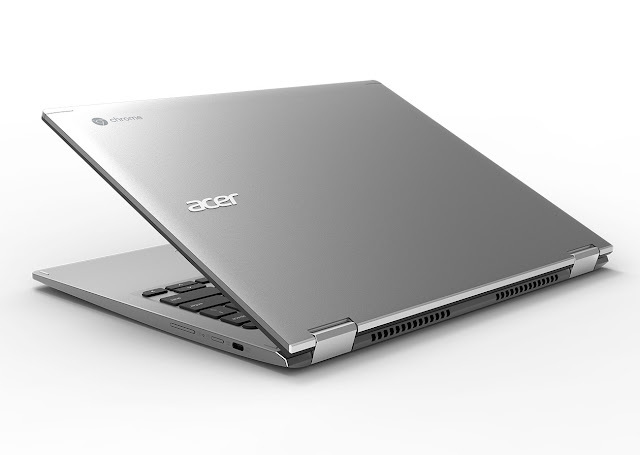 The Acer Chromebook Spin 13 is powered by an 8th Gen Intel Core i5-8250U processor or Core i3-8130U processor. It offers up to 16GB LPDDR3 memory and up to 128GB of onboard eMMC storage. The Acer Chromebook 13 processor options include an 8th Generation Intel Core i3-8130U, Intel® Pentium® 4415U or Intel® Celeron® 3865U. It comes with up to 16GB LPDDR3 memory and either 32GB or 64GB of on-board eMMC storage. The new Acer Chromebooks are not only easy to use but also easy to share with multiple users. Customers simply log into their Google account to access Gmail, Google Docs, apps, extensions, bookmarks, and more. Chromebooks run on Google’s Chrome OS platform, which automatically updates and uses multiple levels of security to guard against ever-changing online threats.